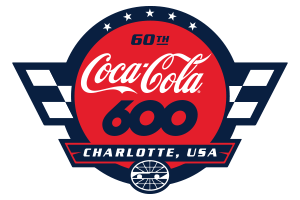 Two of the nation's foremost advocates of the fight against cancer will serve as dignitaries for the inaugural Bank of America ROVAL™ 400 race weekend Sept. 28-30 on the Charlotte Motor Speedway ROVAL™. Sherry Pollex, an ovarian cancer survivor and the longtime partner of defending Monster Energy NASCAR Cup Series champion Martin Truex Jr., will serve as honorary pace car driver for the Bank of America ROVAL™ 400 on Sept. 30. DeAngelo Williams, a former Pro Bowl running back for the Carolina Panthers, will be the honorary pace car driver for the Drive for the Cure 200 presented by Blue Cross Blue Shield of North Carolina on Sept. 29 to raise awareness for the fight against breast cancer. Pollex will drive the Toyota Camry pace car and lead the field to the green flag for the cutoff race in the first round of the Monster Energy NASCAR Cup Series playoffs - and the first road-course playoff race in series history. Pollex was first diagnosed with ovarian cancer in 2014 and has gone public in her fight by establishing sherrystrong.org, a segment of the Martin Truex Jr. Foundation that specializes in post-remission issues that ovarian cancer patients often face. "I actually cried when Marcus (Smith, CEO of Speedway Motorsports, Inc.) called me because I was so excited and so honored to be chosen to do it," said Pollex, who missed Truex's Bank of America fall race win last year due to chemotherapy. "It's Ovarian and Pediatric Cancer Awareness Month, which is a huge month for me, in the month of September. I've been an advocate for pediatric cancer for the past 12 years through my foundation. With me battling ovarian cancer, it's important for me to bring awareness to my disease. Just to be able to do that in the first ROVAL™ race in September is going to be awesome. "To be able to drive the pace car for the Bank of America ROVAL™ 400 is such an amazing honor. To get in there and take 17 turns going 40 miles per hour, it doesn't seem like it would be fast but it feels fast when you can't touch the brake and slow yourself down. I'm hoping that Martin can qualify on the pole for the first ROVAL™ race and give me a bump down the backstretch. I'm looking forward to the fans coming out to the ROVAL™ and seeing how fast it is." In 2006, Williams founded the DeAngelo Williams Foundation - a nonprofit organization whose mission is to develop and seek initiatives to support the eradication of breast cancer through preventative care and research. Williams lost his mother and four aunts to breast cancer, so awareness in the fight against breast cancer weighs heavily on the legendary running back's mind. Driving a pink Toyota Camry pace car autographed by breast cancer survivors will be a special experience for Williams. "It's gonna be amazing," Williams said. "Not because it's pink or because of how much power the car has. If you go around and look at the names of people who signed this car, that's what it's all about. "I know that I'm able to turn left. I know that. I've been under extreme conditions with my wife and kids being in the backseat, so maybe I'm somewhat of an amateur NASCAR driver. It gets a little tougher for me on the ROVAL™, because I've got to turn left and right. Just like the drivers, I may experience some difficulties. I won't have my spotter - which is usually my wife - and I won't have my crew chiefs, which are usually my kids, but I think I can get through this."